But for the ambitious among us, there’s Easter to look forward to. More than any other special occasion, it’s a time we can get our craft on. 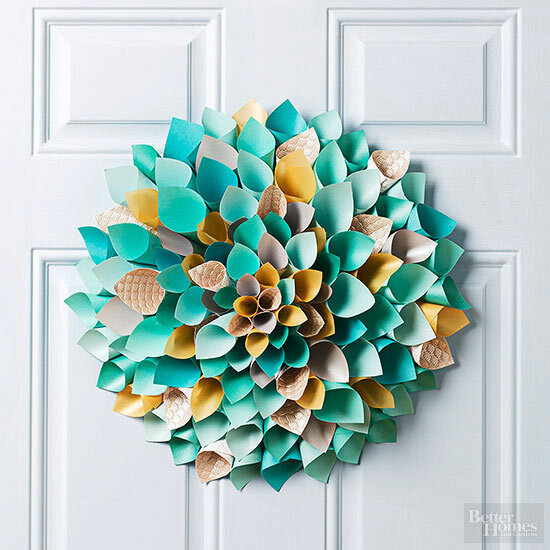 The following craft ideas promise stunning results for minimum fuss (or craft skills). 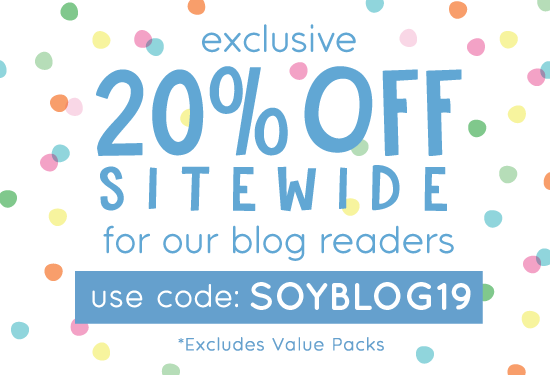 Scroll to the bottom and you’ll also be able to download our amazing free printables – you know you want them! This one is as easy as it looks AND makes use of those dodgy old toothbrushes. 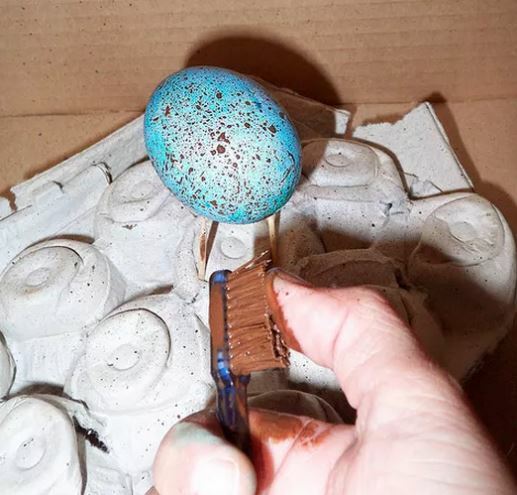 Simply dip the toothbrush into a pot of melted chocolate and ‘flick’ onto the coloured eggs. 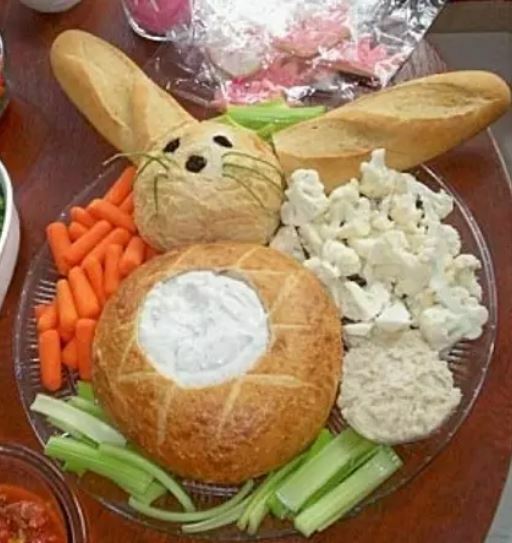 What a fun way to encourage the little ones to eat their veggies! That is unless they wise up and eat the head first – thereby removing the bunny’s judgmental stare. This one involves gluing round mints on Easter eggs and then painting over them. 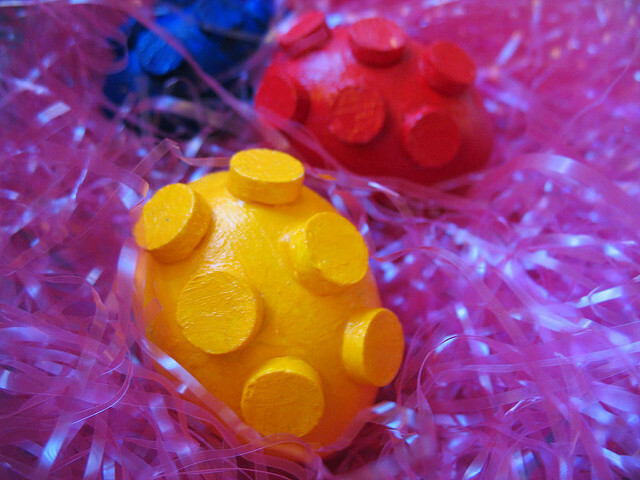 Not only is this a fun twist on the typical Easter eggs, these babies can be your instrument of revenge for all those Lego injuries you’ve sustained over the years. ‘Hide’ these in places where the kids are likely to step on them. 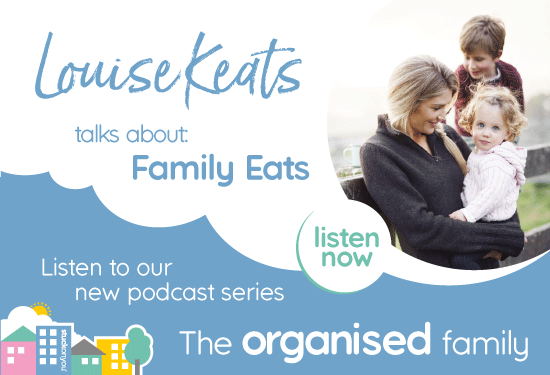 Southern Hemispherians – don’t throw away those Autumn twigs. 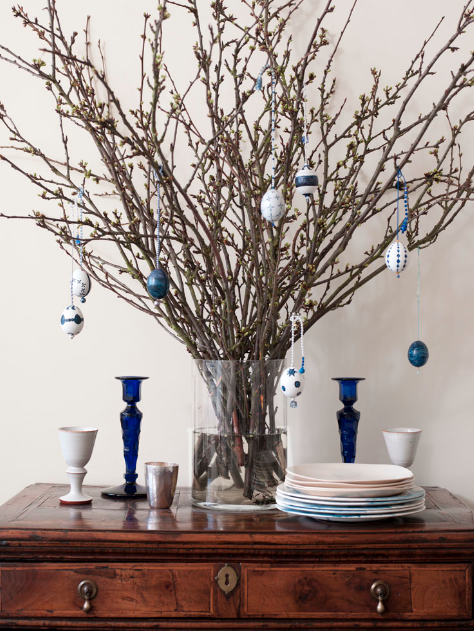 Put them to good use by creating an elegant Easter Tree. The following pic is purely aspirational. This is what I want my tree to look like. Tasteful minimalism. But I fear with the kids’ input, it will look a little more.. busy. Image: Simon Bevan. For full instructions, see here. Another one that’s as easy as it looks. Dots add a touch of class to just about anything. No craft blog is complete without some use for toilet paper rolls. 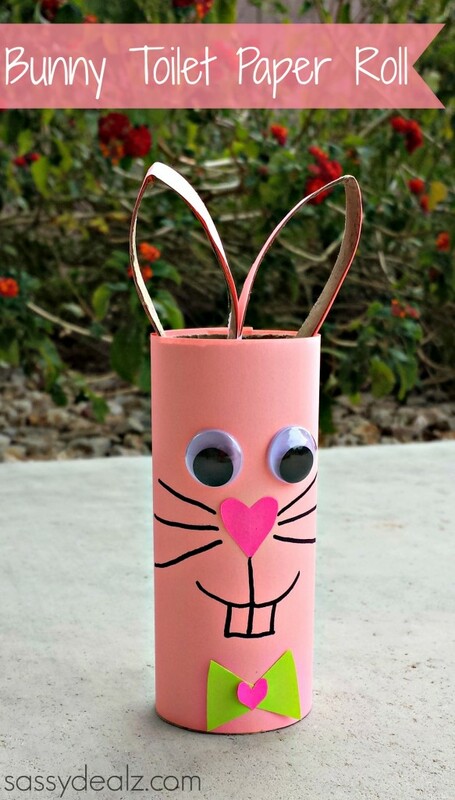 If you can add on a ‘bottom’ (e.g., in the way of big bunny feet) then these cute bunnies can double as somewhere to hide/store Easter eggs. This one is a bit fiddly, so it might be better suited for older children and adults. 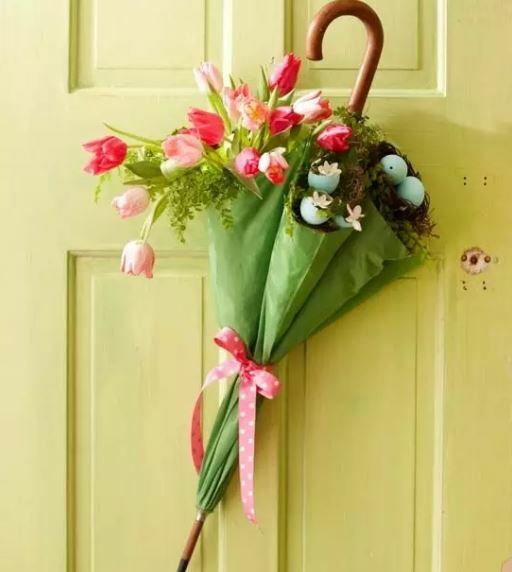 This is such a pretty way to present flowers and welcome in your Easter guests! How cute is this? 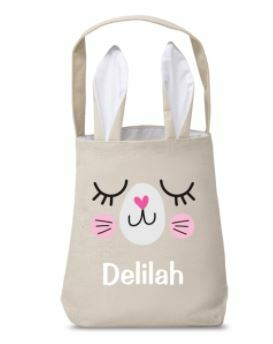 Stuck On You’s Easter Hunt Bag is made of super-strong jute and comes personalised with a name and choice of designs and fonts. 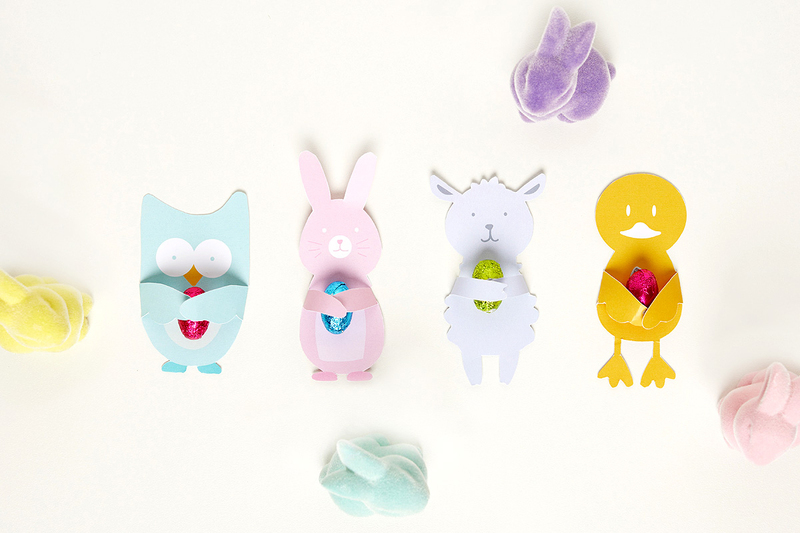 The perfect receptacle for those Easter eggs as well as a lovely keepsake for years to come. 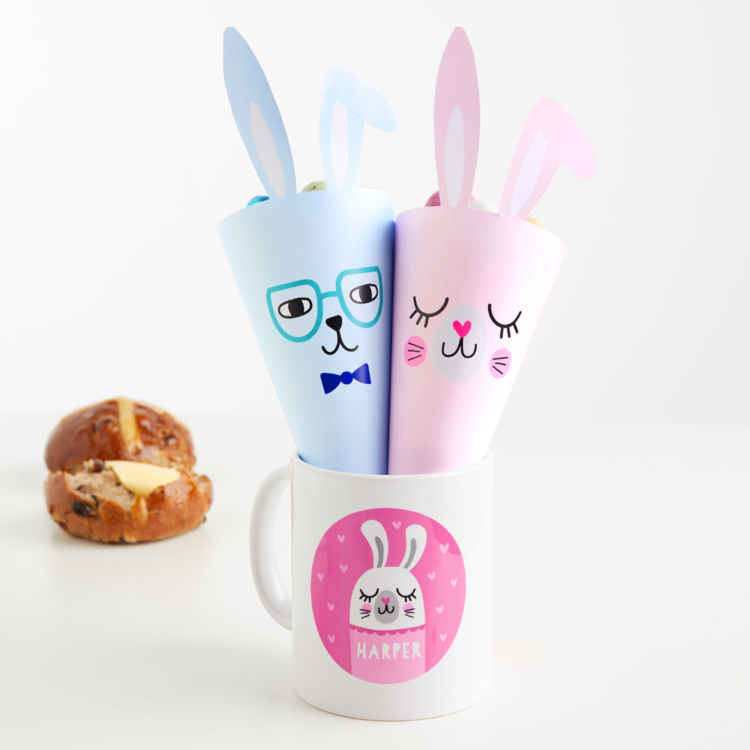 Download the Easter Treat Cones and absolutely gorgeous Easter Candy Huggers by clicking HERE.